This tutorial for How to Make Homemade Liquid Castile Soap is so easy and it is amazing to clean with! Castile soap is by far my favorite thing to use in homemade cleaning solutions. It is quite expensive to by in liquid form, but inexpensive to make yourself. Castile soap is a plant based soap that can be used with water as an all-purpose cleaner, or mixed with different home items such as baking soda and essential oils to make all kinds of different homemade cleaning solutions to clean everything from burned pans, your stovetop and oven to making homemade floor cleaner. Castile has endless amounts of uses, and is totally safe to use around your children and pets too! In my latest article for eHow, I’m sharing a super easy way to make your own liquid Castile soap. This recipe takes one bar of Castile soap and transforms it into a HUGE container of concentrated Castile soap, and a little goes a long way. So, head on over to eHow and see How to Make Homemade Liquid Castile Soap HERE! 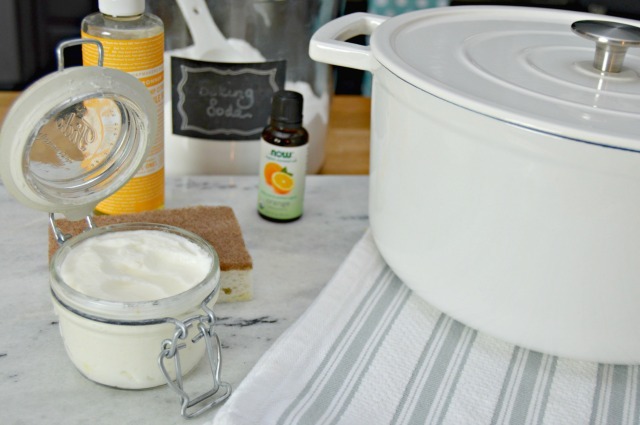 Read on to see a few different cleaning recipes that I used liquid Castile soap in! 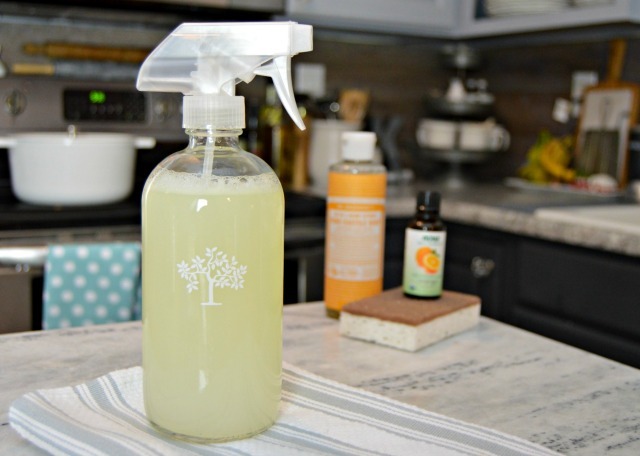 This Homemade Grease Cleaning Spray is my most used cleaning solution in the kitchen and bathroom…it’s got an amazing citrus scent and will seriously clean up just about any mess you make. It works wonders on sticky, greasy spills too! I keep this Homemade Pot and Pan Cleaner Paste right next to my kitchen sink. I use it to remove burned on food from my pots and pans, and also use it to clean my sink and the top of my glass cooktop…it works great as an oven cleaner as well! 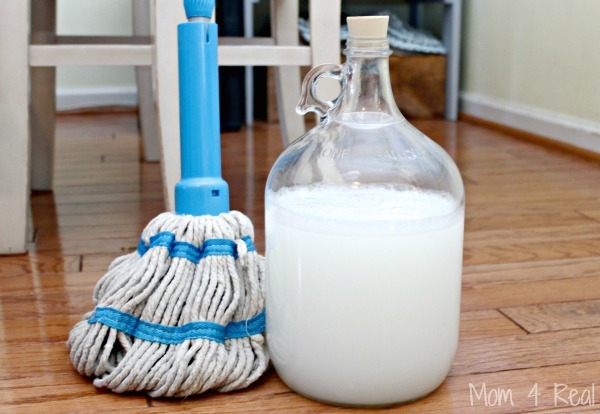 I’ve been using this Homemade Wood Floor Cleaner for years, and it is amazing. It’s safe for wood floors, and I also use it on our tile floors in the bathroom. The main ingredient? Castile soap of course! There are so many uses for liquid Castile soap, and you can find tons of them HERE on my Home Tips Page…I even use it in my favorite Homemade Foaming Facial Cleanser! Thank you for all this wonderful information for years I’ve been looking for homemade recipes and since I’ve tried yours. I’m at awe because they’re inexpensive & work exactly as you’ve posted. THANK YOU you are a true Blessing. Can you use a food processor to grate the soap? I don’t have a box grater anymore. Where would you find the castle soap bar at? Is the homemade castile liquid soap the same concentrate as the store bought liquid? The homemade seems to be of thicker consistency than store bought, therefore, do the recipes such as the pot and pan paste still require 2 TBS of the homemade castile liquid soap? Or do your recipes using the liquid indicate the homemade version? Or does it really make a difference which liquid is used, store bought or homemade????? 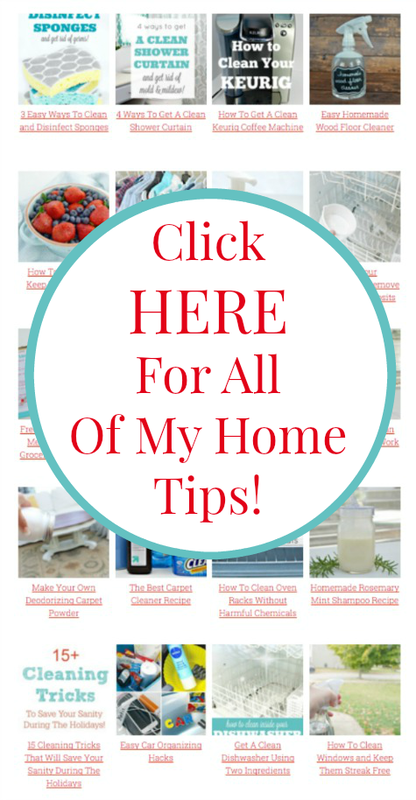 I’m really looking forward to using more of your great cleaning formulas!!!!!! Thank you. Hi, I’ve tried the recipe using a popular local brand with palm oil and it worked ok. The only problem is that after a couple of days the liquid thickens again (more of a jelly texture) no matter how much water I add. Any suggestions?